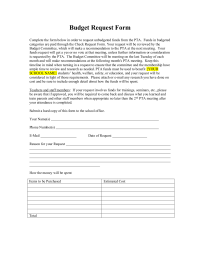 Downloads: 433 Members only ? 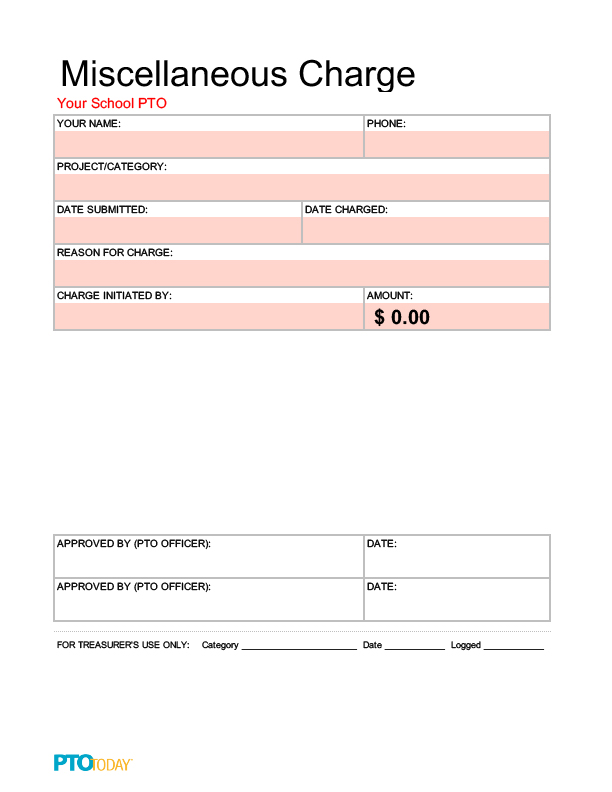 Editable credit card policy to have board members read (and your group adopt) when deciding to accept credit cards. 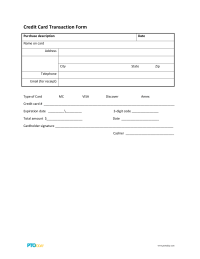 Editable sample credit card transaction form to use for written credit card transactions. 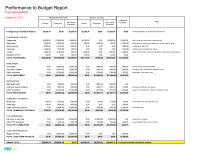 A comparison of a parent group's planned budget to actual income and expenses. 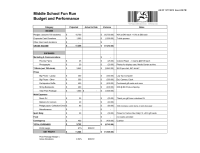 Use this sample as a reference when creating your own performance to budget report. 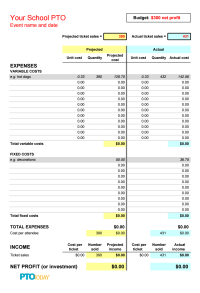 Get an editable Performance to Budget Report as an Excel file in the Treasurer's Toolkit (available for purchase or free to Plus members). 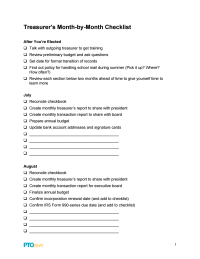 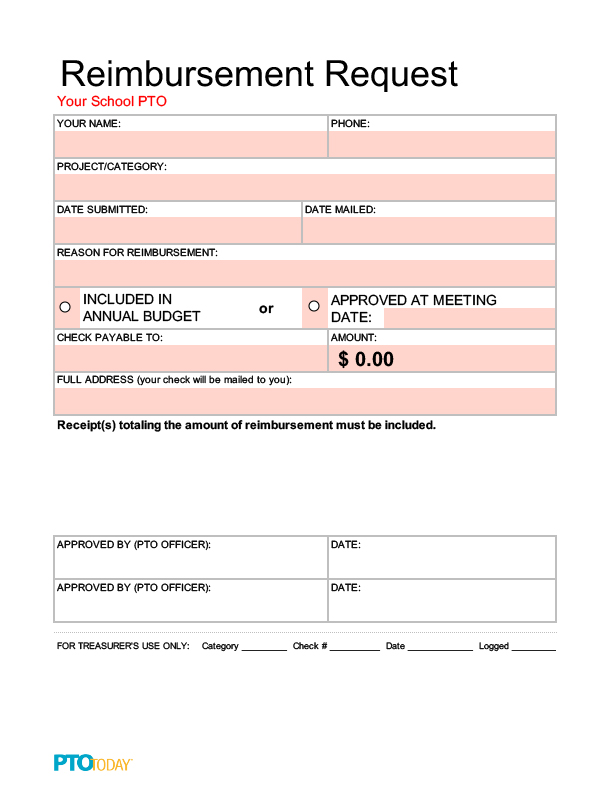 PDF version of the step-by-step instructions for conducting an annual audit of your PTA or PTO, including a worksheet on the second page to help the volunteer auditor reconcile income and expenses for the year. 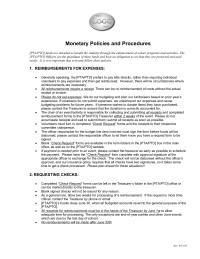 (Fully editable Word version of these guidelines also available.) 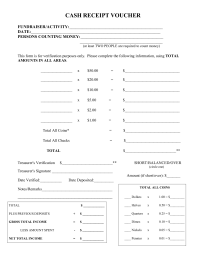 The guidelines and worksheet can be accompanied by the Volunteer Auditor Cover Letter. 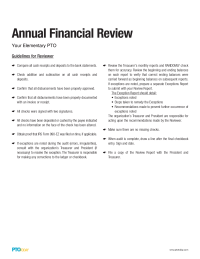 More information on annual audits can be found in the Treasurer's Toolkit. 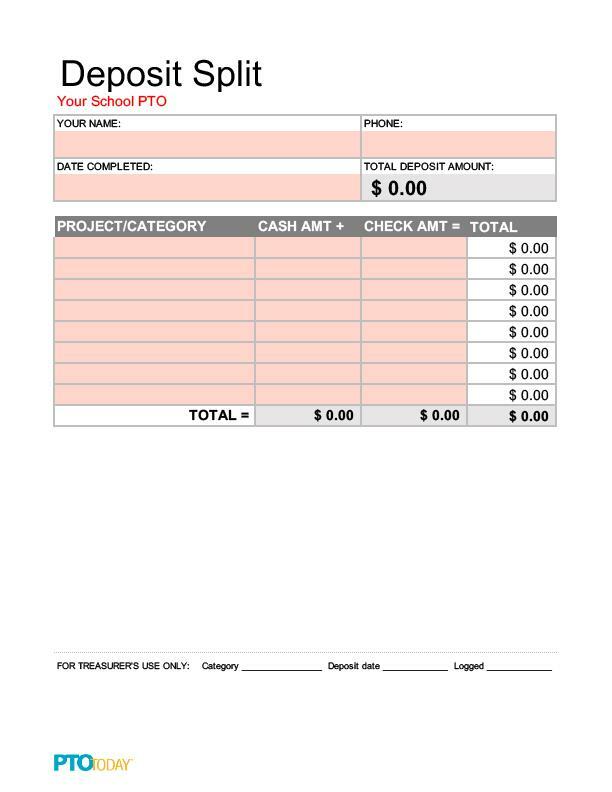 This is a blank Excel worksheet that can be customized for your PTO or PTA event, to keep track of projected costs and income as well as actual costs and income when the event is finished. 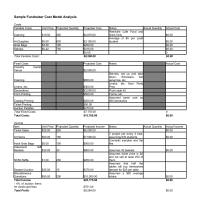 Read "Figuring Finances for Events" for more information on how to create a cost model analysis. 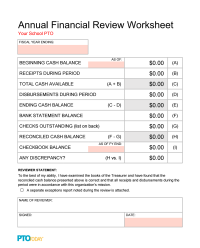 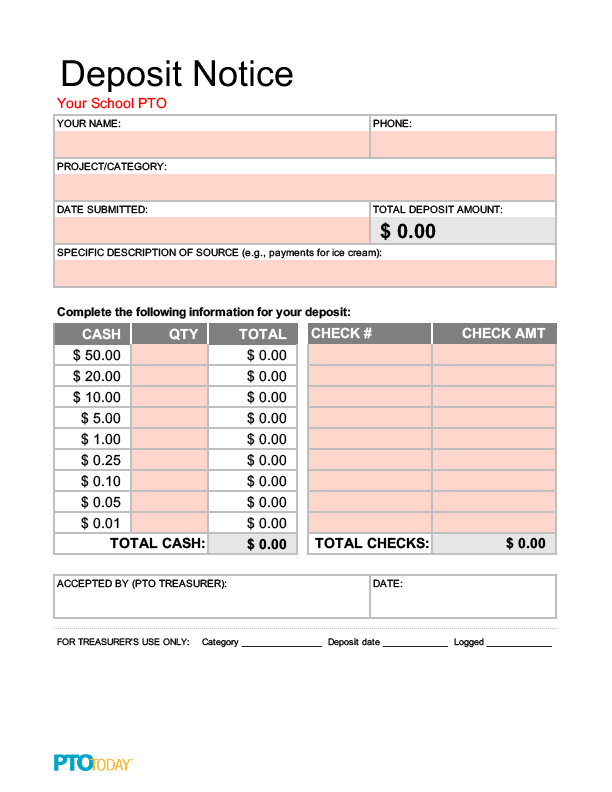 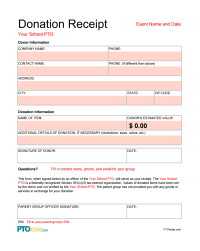 This is a form that is required to be turned in with any funds collected and turned in to the Treasurer. 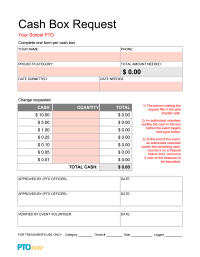 This is a sample form to figure the potential costs and profits of an event. 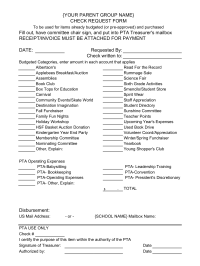 This is a sample of our check request form. 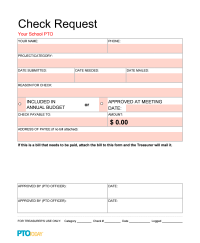 It is used when someone needs to request reimbursement or payment of an invoice.